Shift Work Sleep Disorder (SWSD) sometimes affects those who rotate shifts frequently or work nights regularly. As with all sleep disorders, SWSD can affect your daily life and decrease your quality of life over the long term. According to Web MD, SWSD may affect those who work nights and those with work schedules that alternate between daytime and evening hours on a rotating basis. The body's natural circadian rhythm helps you to fall asleep at night. By working at night, this works against the body's natural rhythm and makes it very difficult maintain a healthy sleep schedule. It is especially difficult for those who work rotating shifts to adjust to the ever-changing sleep and wake schedule. The results of this inconsistent sleep-wake schedule can be significant, especially when the pattern is carried out over a period of time. A constant or recurrent pattern like this, where sleep is interrupted, can result in insomnia. In some people, it can lead to excessive sleepiness. Individuals with SWSD are likely to have insomnia. Insomnia is defined as difficulty falling asleep and/or staying asleep. In addition, many experience excessive sleepiness during wakeful hours. Some individuals also suffer from headaches that become increasingly worse. Concentration is difficult. You may feel run down, exhausted and low on energy. These are all the direct result of not getting quality sleep. You are more likely to be involved in accidents, including motor vehicle and work-related accidents. Increased irritability, mood swings and emotional problems may occur. You may make more work-related errors. Some people miss work frequently due to the inability to concentrate. Minimize exposure to light in the hour prior to going to sleep. Morning sunlight will activate an internal "daytime clock" to wake your body up. Avoid this light as much as possible. Create a bedtime routine. A routine can help prepare the mind for restful sleep. Practice the same routine daily to get the most benefit from it. Also, keep a regular bedtime, even when you are not working. Going to bed and getting up at the same time each day can be helpful. Avoid stimulation at bedtime. This includes avoiding television or reading. Rather, keep outside noise to a minimum and ensure that you only spend time in bed when you are sleeping. Mentally associating bed with sleep is an important part of improving sleep routines. Avoid stimulating foods, such as caffeine, alcohol, nicotine or sugars in the hours prior to bedtime. Do consider foods to help you to fall asleep such as tea, milk or starchy foods. Try to get days off in between rotating shifts or evening hours. This allows your body time to catch up on sleep during the time when you are most naturally sleepy. Avoid going to work if you are sleep deprived. This will only worsen the condition and sometimes makes it more difficult to sleep. Most people with SWSD are able to find treatment by adjusting their sleep routines, but medical intervention is sometimes necessary. It may be necessary to work with a special specialist if the problem has become severe or has lead to severe insomnia. In these situations, doctors will conduct a sleep study to determine what emotional, physical or other aspects are causing the problem. Visit SleepCenter.org, a website operated by the American Academy of Sleep Medicine, to find a sleep specialist in your area. If adjustments are not helpful, doctors may recommend medications to help you to fall asleep. According to Drugs.com, Provigil and Nuvigil are often prescribed for the condition. In some cases, doctors may recommend not working late shifts and to locate work in other ways. This becomes necessary when sleep deprivation becomes a health risk. It is possible that individuals with such severe problems may be able to request schedule adjustments as reasonable accommodations under the Americans with Disabilities Act Amendments Act (ADAAA). SWSD is a serious health concern that should not be taken lightly by employers or those who perform shift or evening work. Everyone needs sufficient sleep in order to function safely and maintain good health. 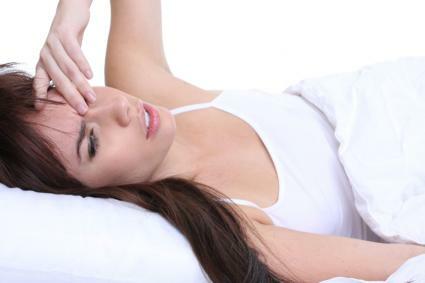 If you are affected by this condition, follow the recommended tips for adjusting your sleep cycle and see your doctor if you are not able to easily manage conditions so that you can get enough sleep on your own.